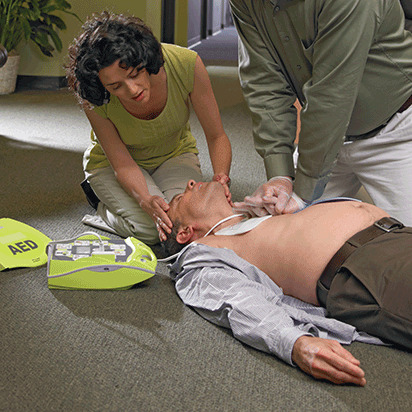 Performing BLS skills correctly in the field can make all the difference to your team and your community. By ensuring scene safety and treatment protocols are being adhered to, you can not only help protect your teams, but deliver the care your community needs – when they need it most. Along with offering in-person classes and blended learning opportunities that combine online learning with hands-on experience, we give students access to our downloadable Basic Life Support Participant's Manual (formerly called the “BLS Provider Handbook"). With quick, anytime access to the information covered throughout the course, you can easily study on your own, quiz your classmates and team members on how to perform BLS skills, or simply read over the material as a refresher – even after you've received your certification. This way, you can keep your skills fresh and be ready to help anytime, anywhere. When you learn to perform BLS skills from the American Red Cross, you'll not only get the certification you need to do your job and help your community, but you'll join the millions we train every year – and learn the skills that can save a life. Proceeds from Red Cross training support the life-saving mission of the American Red Cross.